International Volunteer Appreciation Day 2014 - Be The Change. Volunteer. 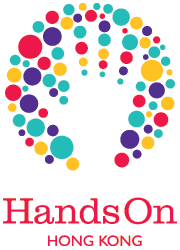 Please enjoy learning about the work of HandsOn Hong Kong through this video, put together by one of our talented volunteers. Many thanks to the volunteers at Ridealist - www.ridealist.com - for producing the videos below for us on a pro-bono basis. Ridealist is run by husband and wife team Shirley HAN Ying and Chris Gelken. They created Ridealist in 2009 to produce short videos to showcase the efforts of grassroots non-profits, community groups and individuals who otherwise would not have ready access to professional media services. Ridealist has already ﻿produced more than 30 videos for NGOs in China, Hong Kong, Britain and Uganda.